Model is stitched on 32ct Stellar Belfast linen by Picture This Plus. Stitch count is 61w x 70; design size is 4" x 4.5". 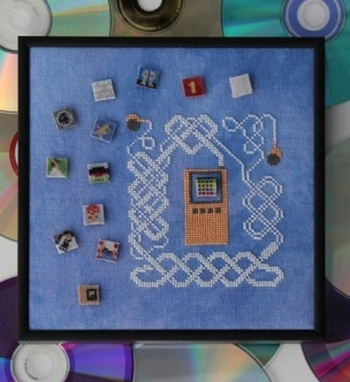 Mini-album covers stitch count is 10w x 10h and are stitched on 40ct linen of your choice.